40% OFF $18 NOW $10.80 Carpal Tunnel Syndrome is a painful, debilitating condition that can affect all aspects of life. This commonly occurring injury is most times treated with surgery. We have found Carpal Tunnel Essential Oil blend combined with massage is an effective alternative to traditional treatment. Everyone is different, but this has meant the difference between surgery and restored health in our own family. 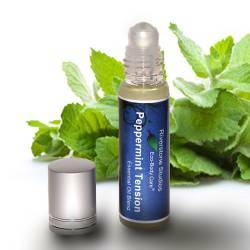 * Use to relieve tingling, weakness, numbness, muscle, joint, and nerve pain. * Opens (dilates) blood vessels to increase circulation and strengthen blood capillaries. * Oils used are known to be highly anti-inflammatory with pain relieving properties. * Oils used are known to reduce fluid retention. Topical: (1) Apply 10-15 drops from hand to the shoulder of the affected arm. Add enough Virgin Coconut Oil or quality massage oil to allow easy massage. Gently massage and relax muscles from fingertips to shoulder/neck. 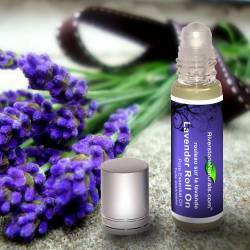 Do NOT massage wrist itself (instead gently rub "Carpal Tunnel Essential Oil Blend" onto wrist). Repeat as needed. (2). Place a cold compress on these locations. Repeat twice daily as required until full movement and dexterity is regained. A good video demonstrating the massage technique can be found here:https://www.youtube.com/watch?v=Y0_StUy2cIU. Note: We at Riverstone Studios are not trained massage therapists. The video listed above is not owned or produced by or for Riverstone Studios. Always consult your health care provider with the information listed here before using any home products or methods to discuss whether it is a good fit for your care. Caution: Avoid if epileptic. Anticoagulant properties of Wintergreen can be enhanced when used with Warfarin or aspirin. Caution: Wintergreen and Marjoram lower blood pressure. Caution: Avoid contact with eyes, mucous membranes, sensitive skin, or fresh wounds or burns. Do not apply to infants younger than 18 months of age. * Store in a cool, dry place with the cap secured.